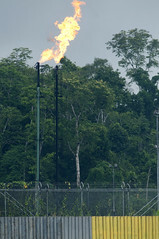 Wasting gas by flaring it at oil drilling sites symbolises questionable oil development. Oil companies burn off natural gas for several reasons: sometimes to prevent a dangerous buildup of methane at a drilling site, but more often because the companies do not have the equipment or the financial incentive to capture and sell it. Hopefully Ecuador, as one of the oil-proving countries in the world, will in the future set better examples of using its resources sustainably. It will be a challenge and matter of wise political decisions for the country to combine its further development of oil (and gas) resources with preserving its pristine and highly diverse natural habitats and increasing its protected areas and nature-based tourism economy. 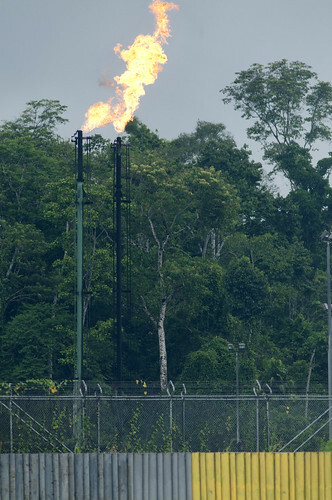 The decision in 2013 to abandon a plan to spare the species-rich Yasuní rain forest in eastern Ecuador from oil development points so far to a wrong direction.